Entegra Signiture Structures | Farm Tender "Prime"
Entegra is a company who prides themselves on thinking outside the box, producing exceptional quality and highly aesthetical products. The company will always make decisions based on what is right rather than the bottom line. The Entegra Culture (aka GREEN Culture) is one of which all employees live by, and has developed over the years as our company has expanded. The culture has been built around a range of core values. At Entegra, we stand by our values. We love partnering with companies and individuals who align with our values to ensure that, at the end of the day, the best outcome has been achieved for all parties. No two projects are the same at Entegra Signature Structures. Whether it is herd size and square meters and capacity, our team looks at all the variables to come up with a completely customised and unique solution that you will love. 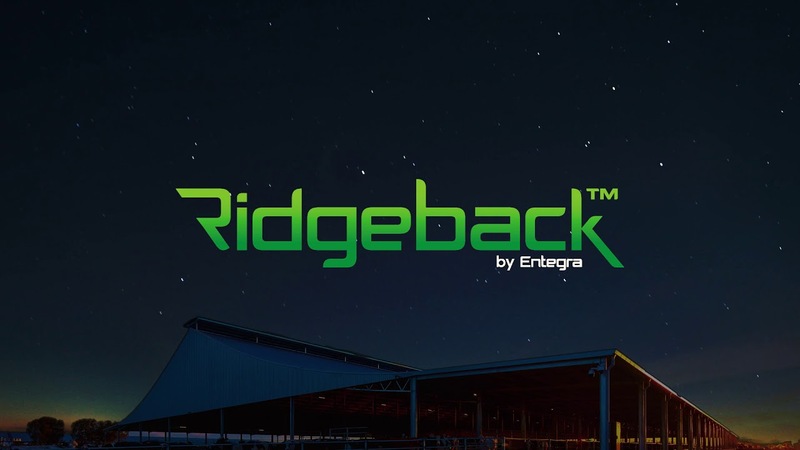 Entegra has recently introduced the game-changing Ridgeback™. This provides a cooler, drier area and greater comfort for the herd. 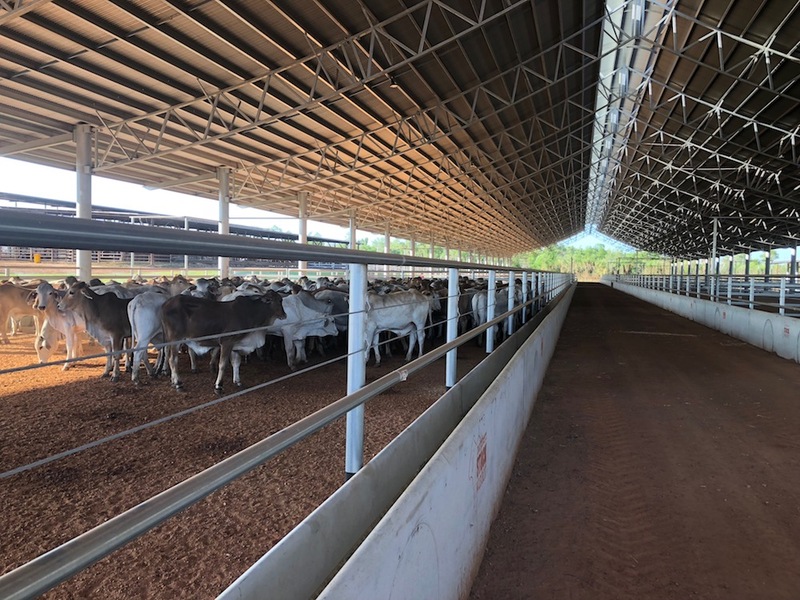 The Ridgeback™ showcases the ultimate in Entegra innovation, with its concave curved roof and self-ventilating structure, allowing at least 20% more air changes per hour than traditional barns. We can customise your Ridgeback™ so that efficiency and functionality is maximised. This design has been patented in Australia, New Zealand and the United States. We understand that the Yield and Return-on-investment (ROI) is a key consideration for you. The Ridgeback can deliver on both counts. To ensure the best outcome for you, we do a site visit to discuss the best way a Ridgeback can work for you. Known far and wide as the Large Shed Specialists, Entegra and the Hay industry go hand-in-hand. As the preferred supplier for some of Australia’s largest hay export companies, and with a network of 1000+ farmers throughout the country, your peace of mind is our priority. We are proud to have made a big splash in the Hay Industry, with the ripples only getting bigger. We understand that with reputation comes expectation, an expectation we meet every single time. We believe in redefining excellence through exceeding expectations and continuing to innovate and maximise your value for money. Known far and wide as the Large Shed Specialists, Entegra has developed a network of 1000+ farmers throughout the country. Over the years we have refined and altered our processes to truly be experts in custom Machinery sheds to suit all types of agricultural, farming, harvesting and cultivation machinery. We build your custom shed in the smartest possible way to suit you, your machinery, your farm and your future. Your peace of mind is our priority. We really get IN YOUR WORLD to find out what the right solution looks like and what matters to you. You’ve spent good money on your farm machinery this can include trucks, tractors, harvesters, headers, air seeders and hay balers etc. This equipment is all vitally important to your ongoing production and bottom line. 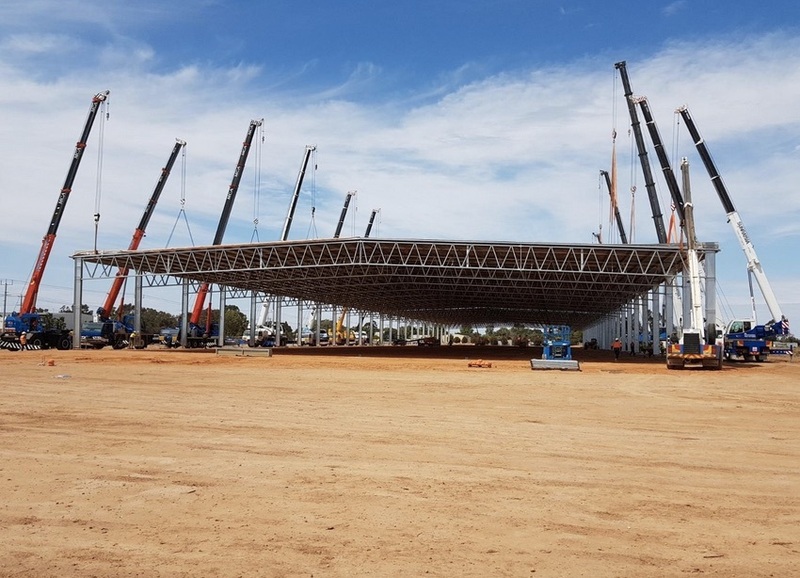 Our Machinery sheds will ensure security and maximum protection from all the weather conditions and other elements that the Australian environment has to offer. Therefore minimising your risk, maintenance and repairs to your assets, whilst still remaining highly functional. 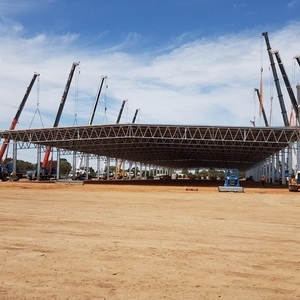 Q – How high does my machinery shed need to be for broadacre farming machinery? A – Our recommended minimum shed height is 6m, however more recently heights have increased to 7.5m and even up to 9m. Our team will be able to help you work out what the most efficient shed height is for your farm, not going too high as this will let more weather in than necessary but having it higher than your largest piece of machinery – even in time to come. Q – How wide can my farm shed go without posts? A – 80 metres in the widest clear-span shed that we currently do, however where possible we recommend staying under 50 metres as price starts becoming less economical over this width.